New Day New York was a coalition formed after Democrat Bill de Blasio was elected Mayor of New York City. More than a dozen groups around NYC gathered together to plan to push de Blasio, which resulted in a week of action. Here is the Coalition’s Report from the campaign. The report reflects the thoughts and concerns about financial issues affecting New York, expressed by some of our most closely allied groups in NY. This is a huge problem that skews regulation in favor of Wall Street. POGO does great work. 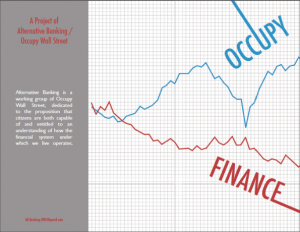 Debt Resistors’ Operations Manual, Strike Debt’s amazing publication, which inspired our own Occupy Finance. Riding the Gravy Train by the Refund Transit group. Finally, here are the plutonomy reports from Citigroup, a major bank. 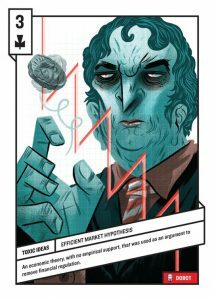 The plutonomy reports are a collection of three documents leaked from Citigroup, after which Citigroup aggressively tried to remove them from the internet. The report was directed at the wealthiest Citigroup investors, guiding them on how to best take advantage of the most unequal countries in the world. It shows that the suits in the tall buildings can be very conscious of what they’re doing to the 99%. Read this blog post for some background. Here are the reports combined into a single PDF.